Sail along our chalky coasts. To trace an unseen heritage. Moon jellyfish, or Aurelia aurita, are probably the most common and widely recognized type of jellyfish, and can be found near the coastline of the UK. 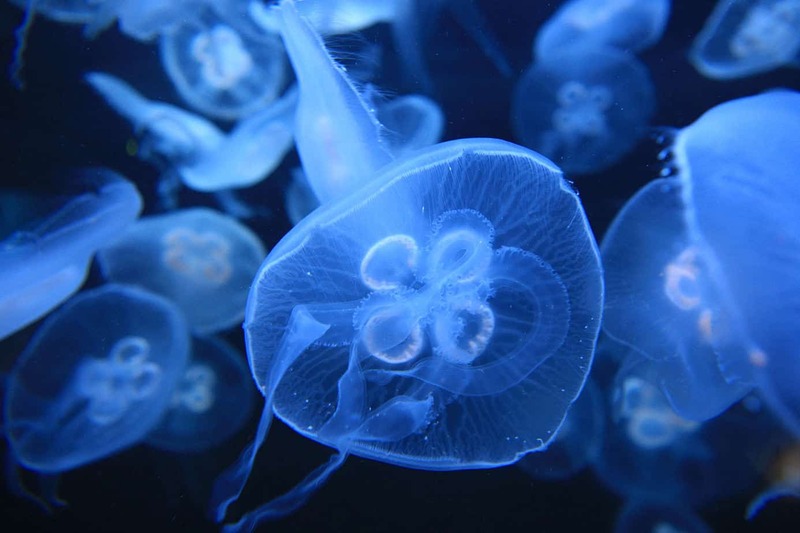 This science poem is inspired by recent research, which has found that maps of chemicals found in jellyfish provide a new tool for conservation in UK waters and fisheries. This new research involved catching jellyfish in UK seas, across an area of approximately one million km2, measuring their chemical composition, and then plotting this distribution as a detailed map. These chemical signals vary according to differences in the marine environments where jellyfish feed. As these variations are also present throughout the food chain, for example in seabirds, seals, and fishes, these jellyfish maps can therefore be used to trace the movement patterns for a range of marine life. For example, by measuring the chemical signals in feathers from seabirds and then comparing these signals to the jellyfish map, researchers can now determine in which regions the seabirds have been feeding. This research is based on a well-established process for analysing the provenance of other produce such as meat, honey, and wine, but until now it had not been applied to seafood. As well as helping researchers and policymakers to learn more about the movement of local marine animals and support conservation efforts, this approach could also provide a novel way of tracing the origins of shop-bought seafood, highlighting food fraud for products sourced from, or claiming to be sourced from, UK waters. This is fascinating Sam and so easily explained to laymen like myself. Thank you for constantly sharing with us this knowledge so we can not only have a greater understanding, but also adapt our lifestyles accordingly to assist, albeit in a small way, to protect our planet.